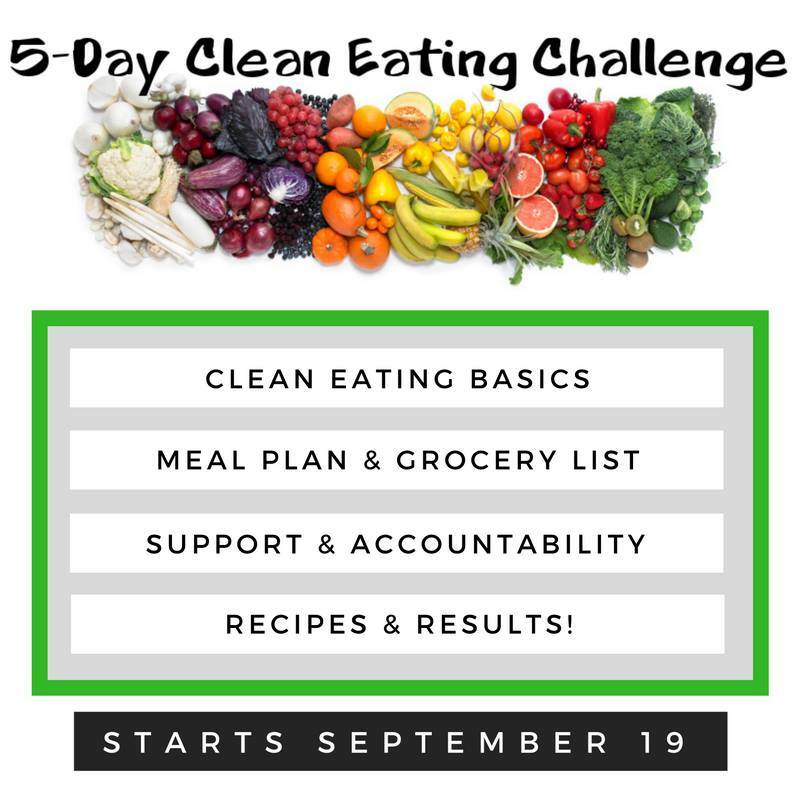 Announcing my F R E E Clean Eating Challenge, starting Sept 19! After a summer of patio and BBQ spoils, I’m sure we all have a little maintenance to do on our eating habits. I know I do! So I’m hosting another 5-day clean eating challenge to help you get back on track. It all starts on September 19th! Comment “I’m in!” below or message me if you want to join! Avocado has got to be one of my favorite fruits. I include it in my meals nearly everyday. I put it on salads, in smoothies, spread it on toast, put it on sandwiches, add it to wraps, or just eat it right out of the skin with a spoon! But not only is avocado delicious, it’s also very good for you. If you don’t already include avocado in your regular diet, this list of health benefits might convince you to start adding it to your regular menu. Avocado Can Lower Cholesterol – The oleic acid in avocados helps to reduce cholesterol levels. Avocados are Loaded With Antioxidants – Antioxidants help prevent disease and have even been touted to help against cancer and Alzheimer disease. Eating Avocados May Help You Lose Weight – Avocado has been known to be a hunger-squasher – the fiber and healthy fats make you feel fuller for longer. Avocados Provide Healthy Fats – Not all fat is bad for you. Avocados are packed with monounsaturated fat, which it where you get most of your calories from the avocado. Monounsaturated fat helps lessen you LDL cholesterol, which is harmful to your body. Avocados Are Good For Your Heart – Avocados help with the absorption of carotenoids (beta-carotene and lycopene), which are essential for heart health. They are virtually the only fruit that contains monounsaturated fat, making them a heart-healthy diet choice. Avocados Are Packed With Vitamins – You will find vitamins B, K and E in avocados. Vitamin B helps you maintain a healthy skin tone and metabolism, vitamin K is instrumental in bone growth and density, while vitamin E is key for strong immunity and healthy skin and eyes. Avocados Are High in Fiber – Avocados provide 37% of the daily recommended amount of fiber. They contain both soluble and insoluble fiber. Soluble fiber helps you with appetite control by making you feel full, while insoluble fiber is great for cleaning out you bowels. Avocados Are Great During Pregnancy – On top of all the other benefits of avocados, they have been known to help with morning sickness and also help your baby’s brain and tissues grow. Plus, if you’re having trouble gaining weight during pregnancy, they are a great food to load up on thanks to the healthy fats. Avocados Are Potassium Rich – Avocados contain more potassium than bananas! Potassium helps lower blood pressure and is something that most people don’t get enough of in their diets, putting them at risk of stroke and heart problems. Avocados are DELICIOUS! – Seriously! If none of the above convinced you to add more avocados to your diet, maybe the deliciousness will! They are rich and fresh and squishy in your mouth and fit in with almost any meal. Avocados only ripen after they have been picked, this is why you will find that most stores and markets will have mostly hard, green avocados available in their produce section. Because of this, you will most likely not be eating your avocado on the day you bring it home from the store. Leave it on the counter at room temperature (not in the fridge) until it ripens. You’ll know it’s ripe by the color – it will change to dark green, almost black – and becomes soft when you gently squeeze it. One trick that has been known to help an avocado ripen faster is to put it in a paper bag with a banana and place it in a dark cupboard. Try it and let me know how it goes in the comments. What’s your favorite way to eat more avocado? I used to get really bad migraines. I remember the first time it happened. I was in the library doing research for a high-school paper when suddenly my hands went numb, I lost vision in one of my eyes and I completely forgot how to read. I saw the letters on the page but they made absolutely no sense. It freaked me right out! I went to the doctor and he told me that these were migraine symptoms. I was about 14 years old. I don’t get migraines as often anymore, maybe twice a year, but I do still suffer from regular headaches. In fact, I’ve had one for the past 2 days now and I’m constantly looking for new things to try because I don’t like taking pills. Drink more water – Often headaches are a sign of dehydration. Make sure you drink enough water (at least 2 litres per dar) to avoid unnecessary headaches. Eat something – Your headache may be due to low blood sugar and simply eating some food may give you relief. Drink a cup of coffee – Coffee constricts the blood-vessel. I’m not a big coffee drinker (maybe a few cups per week), so this usually works well for me. I’ll drink a strong cup of black coffee and usually by the time I’m halfway down the cup, I’ll feel some relief. If you already drink a lot of coffee, it may not be as effective and it may actually make things worse with a caffeine headache. Massage Your Hand – Massage the meaty part of your hand between the thumb and forefinger. There are pressure points in this area that have been linked to headaches and headache relief. Massage with medium to hard pressure for several minutes and then switch hands. 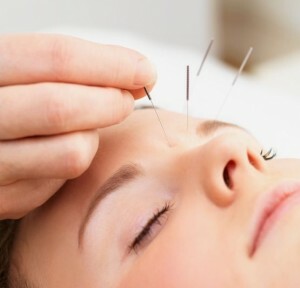 Acupuncture – Thin needles are inserted under the skin to realign the flow of energy, or qi, in the body. I have walked into an acupuncture treatment with a nasty headache and walked out with almost complete relief. Treatments can run anywhere from $60-$120, and may be covered by some extended benefit plans. I can recommend an amazing acupuncturist in Vancouver, feel free to contact me for his info. Massage – Rub your temples, shoulders and neck to relieve tense muscles and get the blood flowing. If this doesn’t relieve the headache, it still feels nice! Yoga – The combination of stretching, meditation and breathing can help relieve your headache. I do Bikram’s yoga, which is hot yoga practiced in 40 degrees celsius and 50% humidity. I’ve had great success in leaving my headache in the room when I practice. If Bikram’s is uncomfortable for you, try another form of yoga. Pay Attention to and Identify Triggers – I have several headache triggers that I do my best to avoid. I’m very sensitive to smells (mostly certain perfumes and colognes) and can be sensitive to some foods as well. One of my triggers is Strawberry Kiwi Snapple. Even just one sip will be enough to trigger a headache. Tiger Balm – Rub Tiger Balm on your temples and along your hairline. The cooling properties will help relax the muscles in your head and neck. Tiger Balm is magic! (I never travel without it.) An alternative with similar benefits is peppermint oil. Ginger Tea – Buy fresh ginger at the grocery store, crush it up and mix it with boiling water to make tea. Ginger reduces inflammation and I’ve found that it can work just as quickly and effectively as Advil or Tylenol. Sleep – Your body may just need to rest. If you are suffering from a migraine, sometimes all you can do is find a dark room, turn off all the lights and try to sleep. Exercise Regularly – Being active regularly helps reduce the frequency of stress headaches. I make sure I exercise at least three times per week to stay healthy, fit, and hopefully headache free. Do you have any remedies to add? Please share in the comments below. Don’t miss out! 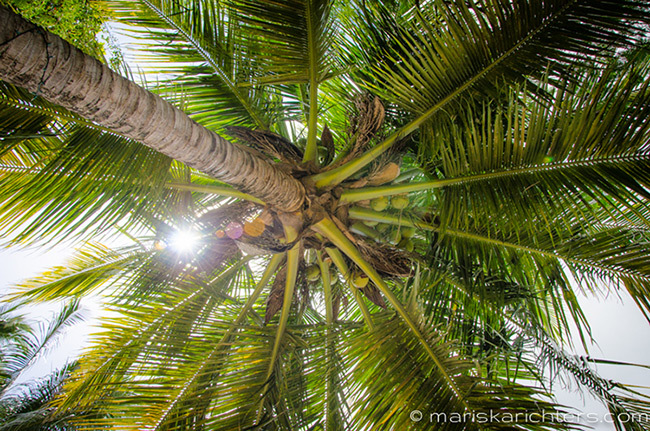 Follow me on Facebook and Twitter for more health, travel and photography posts.